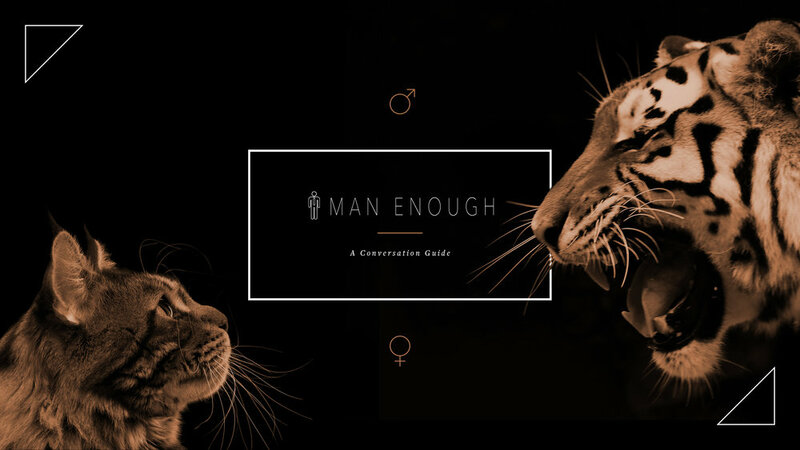 Man Enough, a talk show hosted by Justin Baldoni aimed at dispelling toxic standards of masculinity, needed a conversation deck that challenged their audience to rethink their convictions. 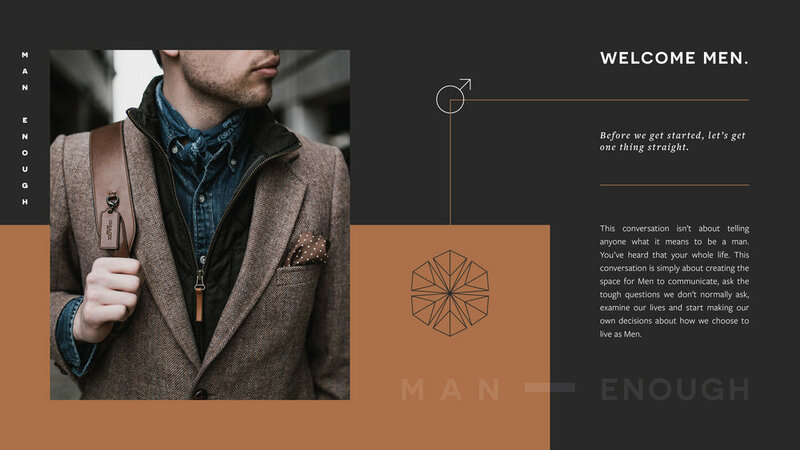 After being provided copy CatalystCreativ created a document that remained inside the masculine comfort zone, highlighting classic imagery with a cheeky twist. 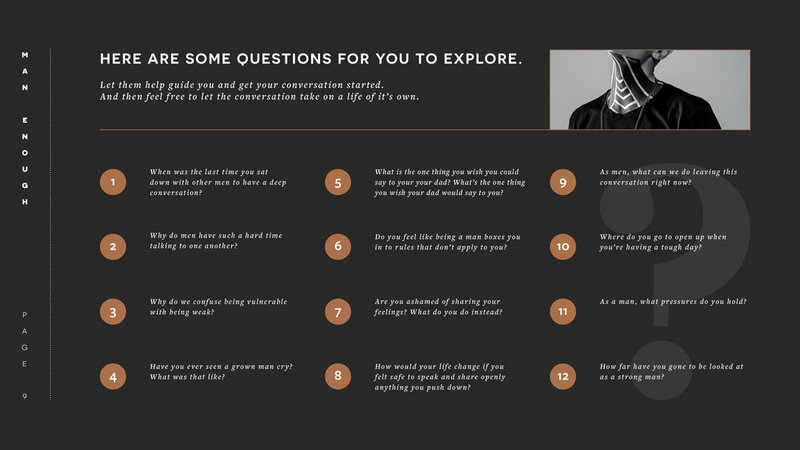 Learn more about their initiative here.